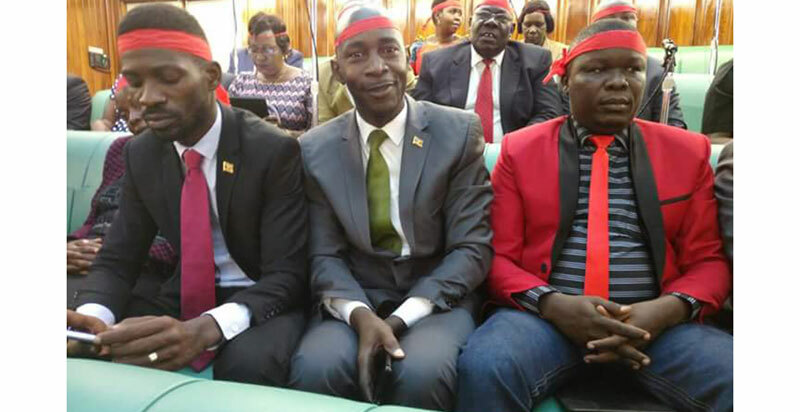 At a time when Uganda is struggling with unresolved murders, widespread land evictions, natural disasters and unabated corruption, some politicians are busy promoting and sponsoring debate around the amendment of article 102(b) of the 1995 Constitution of Uganda to remove presidential age limit. How unfortunate! First, this not only demonstrates how non-empathetic the agents of that debate are but it also speaks volumes about the level of insensitivity that exist in Uganda as a whole. With the hierarchy of issues that the country is facing, the discussion on age limit would ideally be at the lowest of the ladder. But be that as it may, we have to contend with it, because it is now here before us. To amend or not to amend article 102(b) is an issue of the Constitution. In my understanding, once you move to touch the Constitution, then you have advanced to touching the heart and soul of the nation. No discussion around the Constitution can be deemed complete without summoning the entire nation to pronounce itself on any alterations being made. Therefore, any discussions on Constitution amendments must reflect the will of the people – not just the will of their representatives. If there is going to be anything such as a discussions around the amendment of the Constitution, members of Parliament must in all honesty consult their constituencies and represent the voice of their electorate. The bottom line is, citizens must stand at the centre of any discussions around the Constitution – if it is truly their constitution. There must be a genuine consultative processes to determine if that soul of the nation must or must not be tinkered with. Some of those in positions of influence seem to be preoccupied with fixing things that are not broken and leaving those that are (too) broken unfixed. But from where we stand, there doesn’t seem to be any compelling reasons why we must amend article 102(b) and not any other articles in the Constitution. There has been longstanding pursuits from nearly all quotas of society to amend article 105 of the Constitution to reinstate two-five-year term limits on the presidency – these calls have not been heeded; what makes the amendment of article 102(b) a matter of life and death? Why amend it before it is tested to know whether or not it is defective? American businessman Thomas Bertram Lance once popularised the expression, “If it ain’t broke, don’t fix it”. Some of those in positions of influence seem to be preoccupied with fixing things that are not broken and leaving those that are (too) broken unfixed. A few years ago, the country pronounced itself on the need to amend article 60 of the Constitution to have the Electoral Commission (EC) appointed through a public, transparent and competitive process – rather than it being appointed by the president. Several elections have come and gone and the mode of appointment of the EC has not been changed and here we are, confronted with elections that go challenged every time, leading to endless by-elections; by-elections where lots of money is injected with little or no return on investment. Why don’t we deal with insecurity that is resulting into multiple murders and death of Ugandans every other day? Why don’t we deal with the culture of impunity in both public and private spaces? How will amending article 102(b) foster peace and social cohesion in an increasingly divided and intolerant society that we are seeing? What sort of loss will the country face if the presidential age limit is not tampered with? Will global stock markets crash or will Uganda cease to exist? 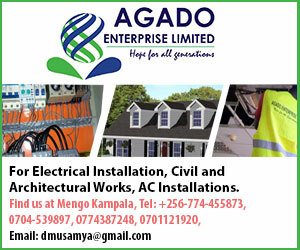 How will the amendment of article 102(b) create more jobs for Ugandans, generate more power, fix the bad roads? Will it take the economy out of the debilitated position in which it currently is? Will it ease the terrible traffic jams in Kampala or reduce the cost of public administration, curb poverty, reduce the rising inequality and sort out the wave of disasters. Those rooting for the amendment should show Ugandans how the change will create more investment opportunities, result into better quality social services, provide food to the hunger stricken or better still, drive the country to middle income status. Where we stand now, there doesn’t seem to be any correlation between removing age limit from the Constitution and delivering on what Ugandans want and need most. Proponents of the amendment could easily pass for self-seekers who are sightless to the plight of Ugandans. This is a sting project and the promoters are individualistic and opportunistic figures who may, for all we know, be exploring their own vested interests and personal gain out of this venture. The Age limit mess: coup or referendum?